A MUST-READ FROM ONE OF OUR CELLUMA LED CLIENTS! Thank you to Christine for sharing your transformation story. Results without harsh chemicals or harmful medications. "By the time someone gave me Tammy's name, I was at the end of my rope. I figured I would try one last thing before I threw in the towel and went back to the dermatologist for Accutane (nothing else they'd ever put me on had given me lasting results, but I was desperate). I'd already wasted months and way too much money on a slew of products meant to improve my acne + dry skin combo to no avail. 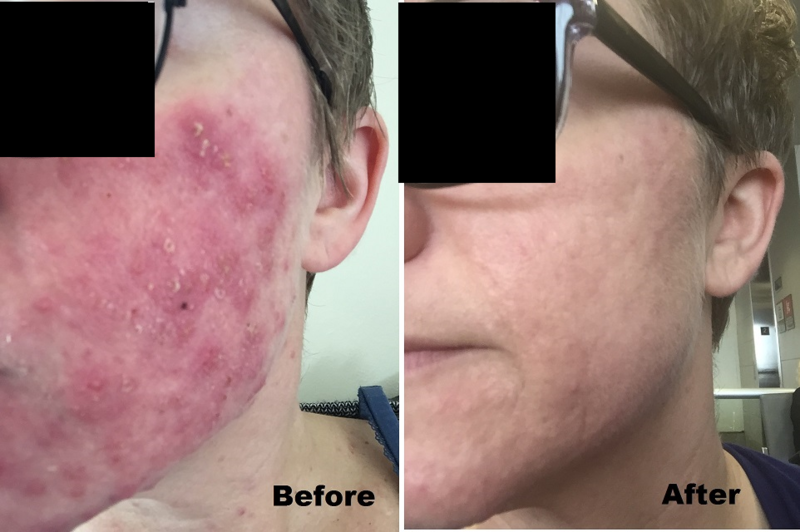 Tammy actually took the time to ask me questions about my skin, helped me test out several different moisturizers and face washes to address the issues I was having, and step-by-step helped me understand what she was doing, why she was doing it, and what to expect during the process for each new treatment. 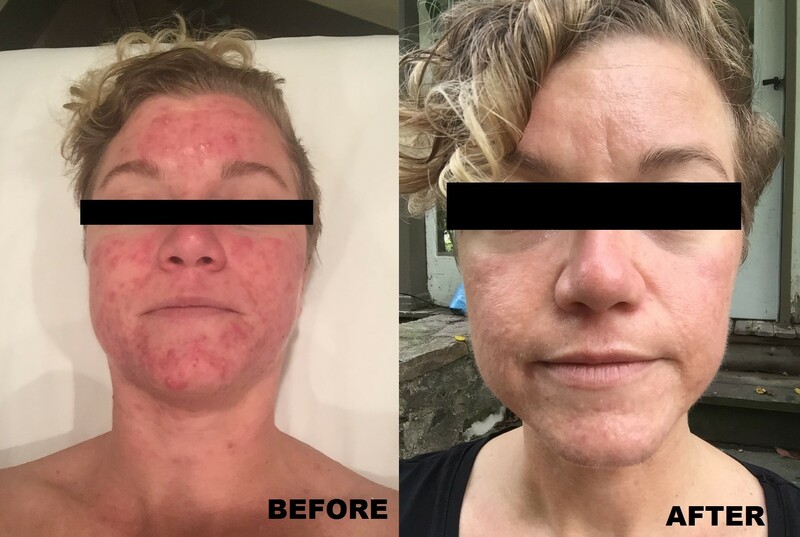 We started out with Celluma LED therapy a few times a week, moved on to acne peels after a few months of the LED treatments, and then once my skin was clear Tammy did a few microdermabrasion sessions to help with the lingering scars. My face is unrecognizable. I feel confident leaving the house again without makeup, find myself wanting to be in photos again, and am not constantly thinking about my skin when I'm out in public. I really committed to what Tammy told me to do, and I can't thank her enough for the results. She's a skin wizard."